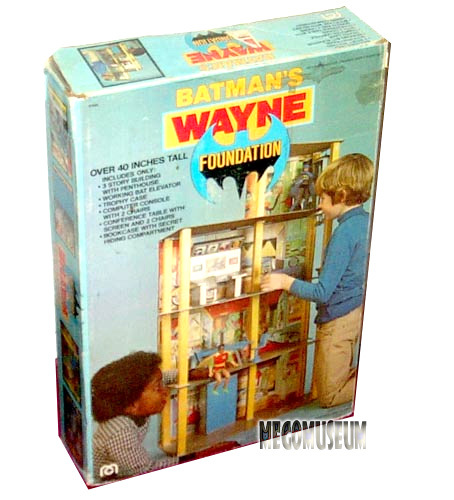 A very rare item , the Wayne Foundation comes with a working elevator to help you traverse four floors of fun. 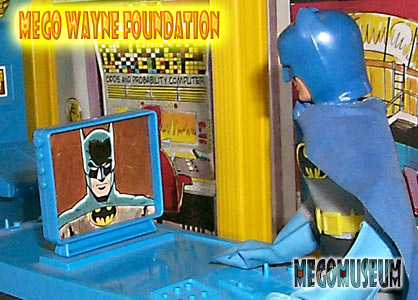 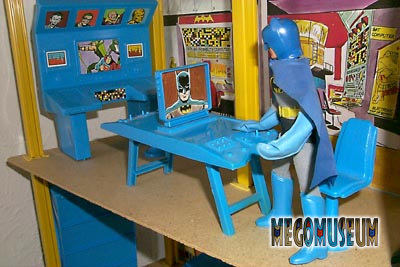 This will be the Crown Jewel of your Mego Batman Collection until you get your Secret Identities. 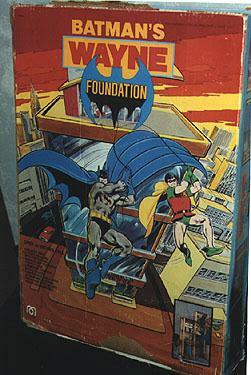 This playset was designed by DC Comics and it shows in it’s attention to bat detail. 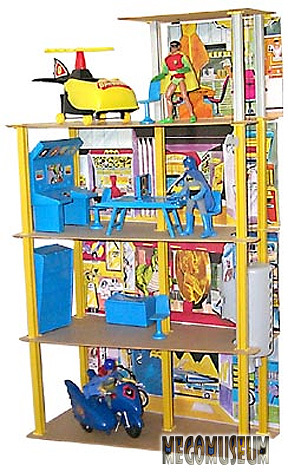 From the Giant Penny and Dinosaur on Level two to a cameo by Bat Mite, this is the best Batman playset ever produced. 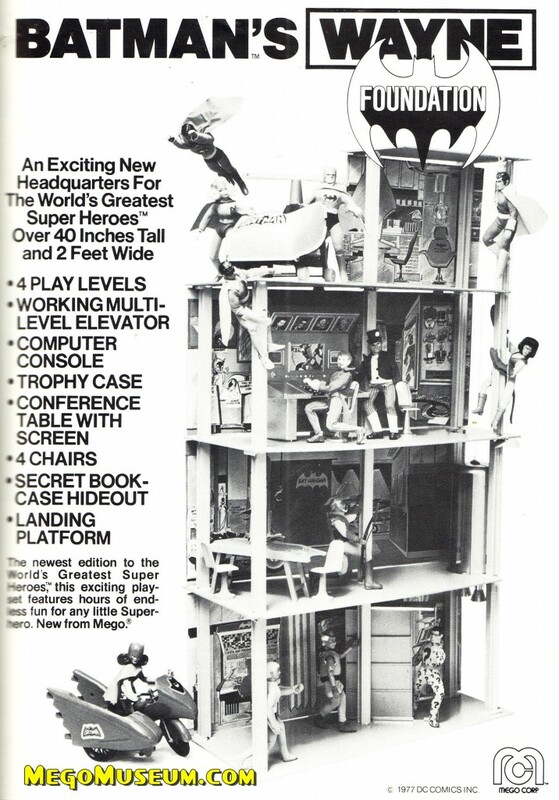 The elevator doesn’t work very well but who cares? 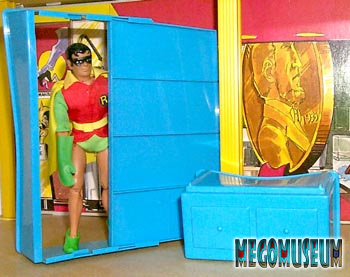 Robin shows off the Bookcase’s secret compartments. Original Ad to the Toy trade about the Wayne Foundation in 1977.